This tutorial is how to double weave to double your sett or weave a tube, create double wide cloth or weave two pieces of cloth at the same time. If your loom doesn't have a "double heddle kit" you can still do this, so don't worry. 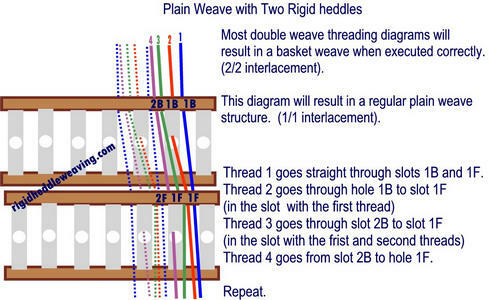 The most simple way is double weave with 2 rigid heddles and one pick up stick, so we will start with that first. 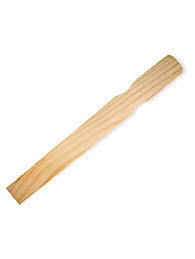 If you don't have a pick up stick you can make one out of sturdy cardboard or a wooden paint stir stick. 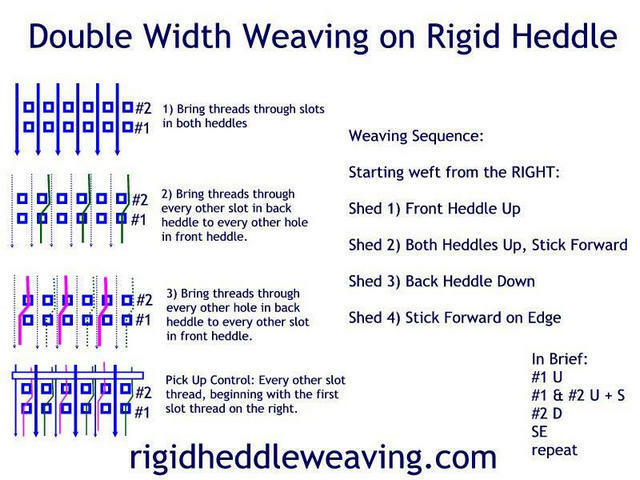 The following video demonstrates how to double weave using 2 rigid heddles and 2 pick up sticks. This will give you a denser cloth. A, #1U, B, #2D. You will need 2 shuttles and weave each layer separately. If you weave #2U, it will join both layers. Here are some double weave projects to get you started. If you discover outdated/broken links, please let me know.